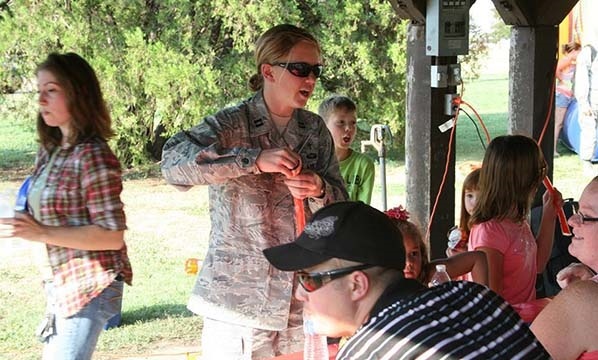 Chaplain Kristin Swenson at Sheppard Air Force Base, Texas. 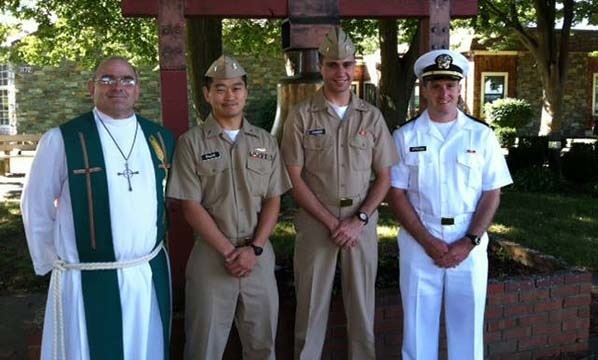 Chaplain Carl Trost, Newport Naval Base, Rhode Island. 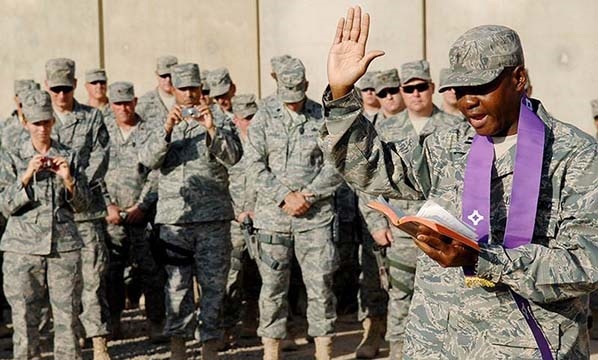 Chaplain Anthony Stevens, Army National Guard. 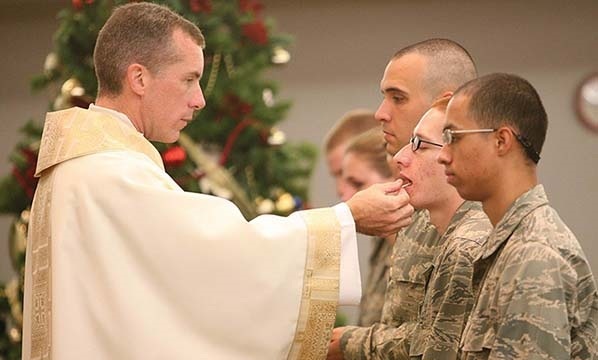 Distribution of Holy Communion at Christmas. 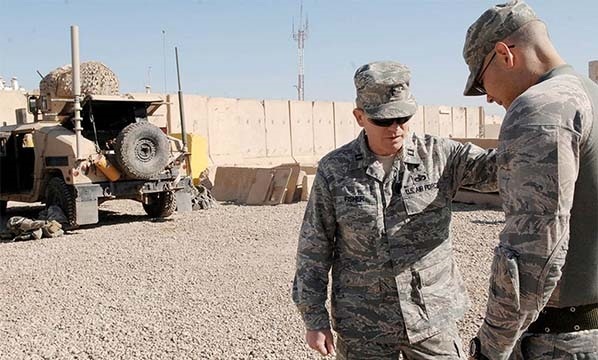 A chaplain blessing deployed troops. 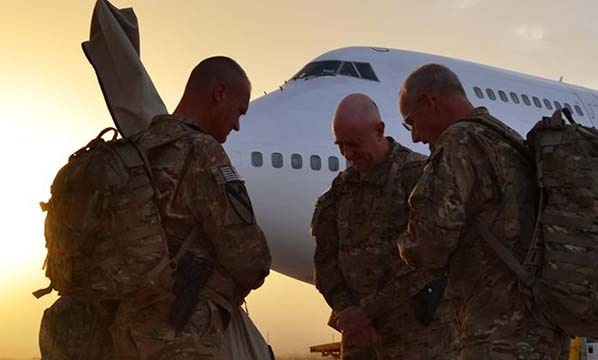 Taking a moment for prayer. 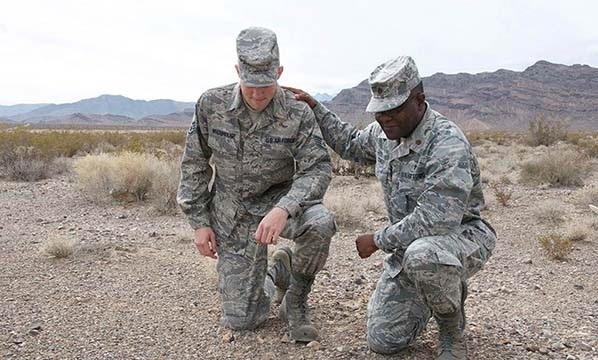 Air Force chaplain offering support and prayer.